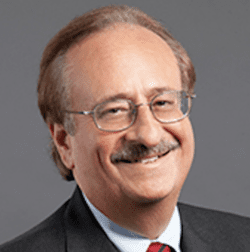 Fred has first chair experience in district courts throughout the United States litigating patents including the most active courts in Delaware, E.D. Texas, California, Illinois and Florida. His cases have involved a large variety of technologies including digital audio and video watermarking, electronic ratings systems, consumer electronics, copy protection and anti-piracy technology, NFC and radio frequency identification systems, robotics and pneumatic systems, automated storage and retrieval systems, memory and storage devices, software, internet-related method and system patents, digital signal processing encoders and decoders, universal remote control devices, optical systems for cinematography lenses, methods and systems for the manufacture of flooring materials, and automotive parts. He has successfully handled dozens of high-stakes patent litigation cases and resolved disputes across the gamut of contentious IP issues including copyright and trademark infringement, trade secret and unfair competition disputes. According to The World’s Leading Patent Practitioners 2013 & 2014 published by iam 1000, “clients say they cannot imagine working with anyone better, hailing [Fabricant’s] outstanding skills of presentation and persuasion in the courtroom.” Fred has also tried many arbitration matters and represented clients in mediations.